Sorry for not posting recently. Sometimes life just gets in the way, but I am very happy to be back. I hope you are having a wonderful 2018 so far. Today I wanted to go over some skin care products that are considered game changers. Having a really great skincare routine is something I think everyone should have no matter their age but it definitely becomes more and more important the older we get. Now that I am in my mid-30s I am really beginning to grasp this fact. This is considered a miracle in a bottle. 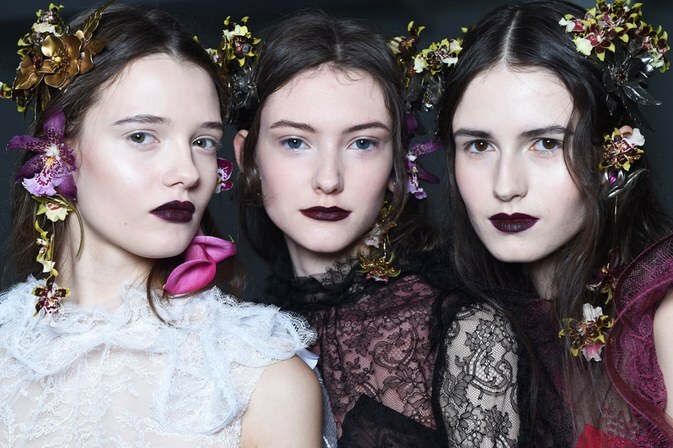 Korean beauty has been all the rage for a few years and now for good reason. 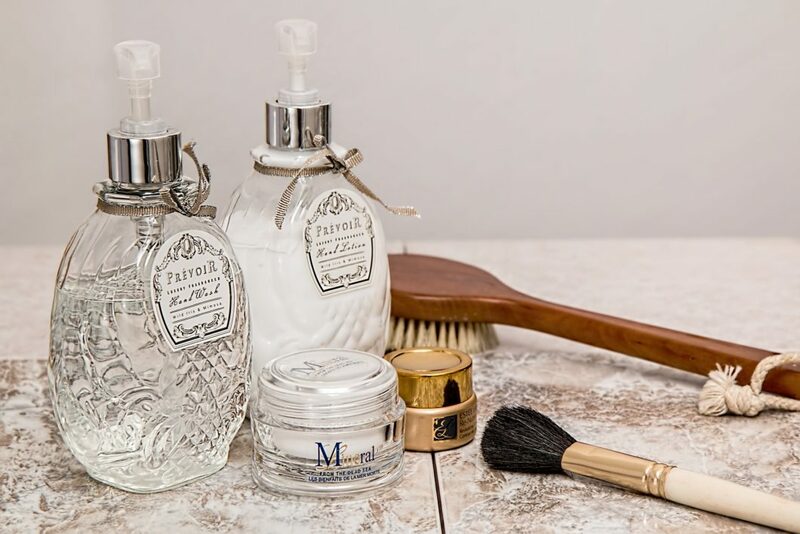 They really focus on a good regular daily and weekly regimen that features products that are packed with nutrients for your skin so that you can achieve a flawless glowing complexion. Who doesn’t want that? 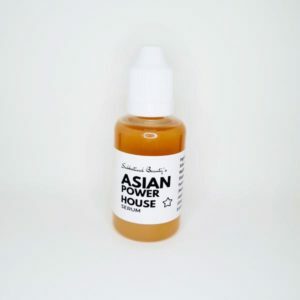 This particular serum is from Sabbatical Beauty and features ingredients like anti-inflammatory Ginseng Root, Sake, Turmeric Root, Green Tea, Goji Berry, and Bamboo extract just to name a few. To purchase this product CLICK HERE. I also recommend that you check out the amazing before and after photos featured on their Facebook group page. MEYER LEMON to target over-exposed surface cells. VITAMIN C super antioxidants help support skin’s vitality and complexion defense. Non-GMO Project Verified, Gluten Free, Nature Derived, Sustainably Sourced, and always Cruelty-Free. 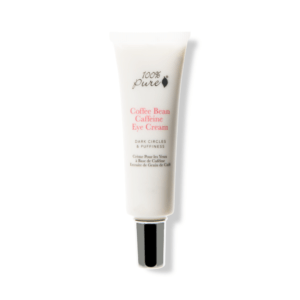 This eye cream has been a bestseller from 100% Pure Cosmetics pretty much since the brand launched in 2005. 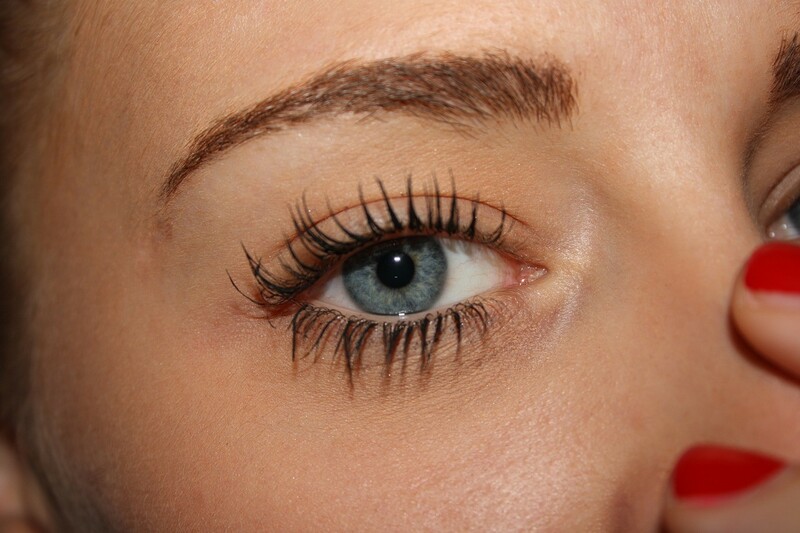 It is super hydrating, de-puffs, helps diminish dark circles, fine lines, and wrinkles. Basically, it does everything you want it to. Plus it is super concentrated so one tube will last you a very long time and it smells incredible. It is 100% natural, vegan, and cruelty-free. 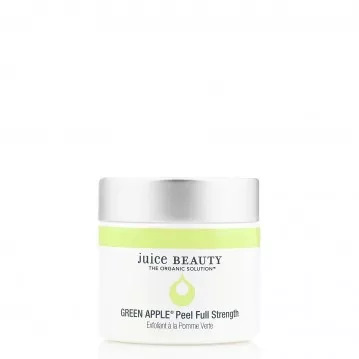 Exfoliate with Juice Beauty’s patented, bestselling, potent alpha and beta hydroxy acid peel that delivers spa-grade exfoliation, revealing a brighter complexion while reducing the appearance of fine lines and wrinkles, as well as dark spots and discoloration, for optimum age-defying results. I recently switched from using regular facial scrubs to using fruit acids instead and wow what a difference! As I mentioned earlier I hate flakey skin and I personally find that using standard facial scrubs tends to make the flaking worse. Since I have started using AHAs this has not been a problem. The natural acids dissolve the dead skin cells and voila I get instantly smoother, softer, flake-free skin. 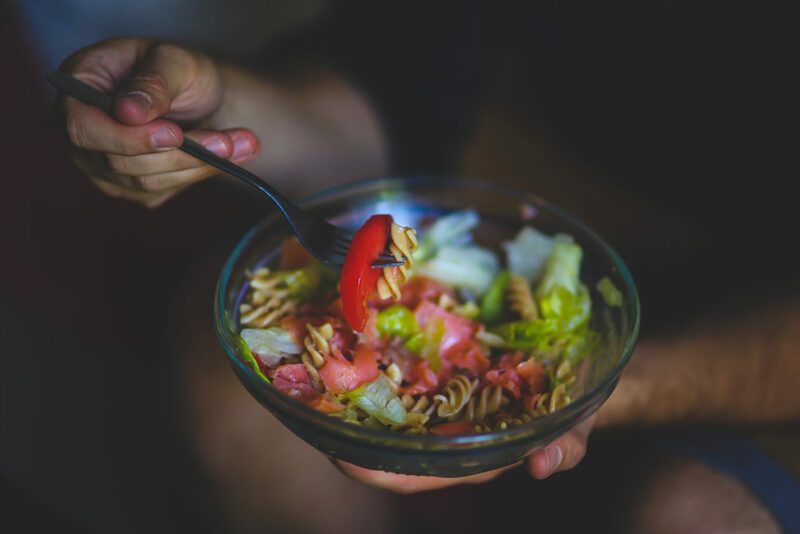 SUPERFOODS – organic Aloe Vera, Manuka Honey, MSM, Coconut Oil, Shea Butter, Blue Green Algae, Olive Oils, Cocoa Butter and Hemp Seed Oil with vitamins A, B, C, E.
DEEP HYDRATION- moisturizes to the base of your skin, not just on the surface, which lasts up to 8-12 hours. Non-greasy formula fully absorbs and leaves no residue. A little goes a long way to instantly soothe dry, damaged skin. REPAIR AND PROTECT- repairs damaged cells, stimulates new cell growth and restores your skin’s natural 5.5 PH balance. ANTI AGING – stimulates collagen production, strengthens skin fibers, improves elasticity, protects from damaging free radicals while reducing fine lines and wrinkles. SAFE AND EFFECTIVE- This hypoallergenic formula is safe for sensitive skin– even safe for children. 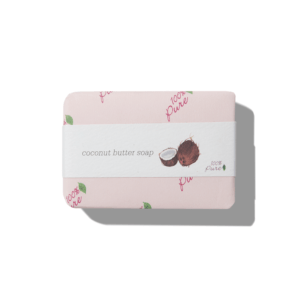 Non-oily and won’t clog pores so safe to use on face, hands, body, and feet. No toxins, fragrances, fillers, alcohol or parabens. Since it completely works with your skin’s natural biology– it suits all skin types whether dry, oily, combination or damaged skin. If you have sensitive skin, rosacea or skin that is irritated and inflamed then you will love this mask. It is super soothing, cooling, and hydrating gel facial mask designed specifically for sensitive skin. Features Rose Water, Pomegranate antioxidants and Alpine Rose stem cells. Non-GMO Project Verified, Gluten Free, Nature Derived, Sustainably Sourced, and always Cruelty-Free. The entire 1000 Roses line from Andalou is one of their best sellers and I highly recommend it. To buy this product from Amazon CLICK HERE. Sheer mineral tint blends with most skin tones and reduces the whitening effects of zinc oxide. BPA and phthalate-free tube made of Number 2 recyclable plastic. 98 percent certified organic ingredients sunflower oil, beeswax, seabuckthorn and vitamin E.
For the latest price on Amazon by CLICK HERE. 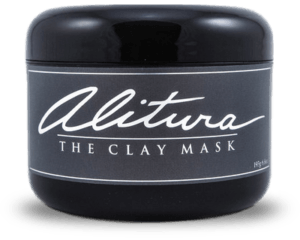 The Alitura Clay Mask is a unique truly an “all-in-one” facial treatment that thoroughly purifies skin at its deepest layers. 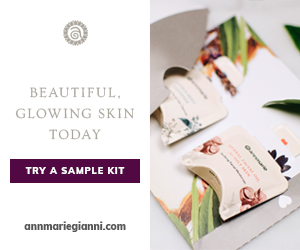 It features a unique blend of 9 nutrient-dense ingredients that exfoliate dead skin, reduces pore openings, stimulates blood flow, and encourages the growth of new skin cells. The detoxifying properties of the carefully formulated clays draw out impurities and produce baby smooth skin with a radiant glow. Freshwater Pearl Powder: Pearl powder, one of nature’s more subtle exfoliates, has the remarkable ability to establish an even skin tone and smooth out wrinkles. It is particularly useful for eradicating sun spots, reducing redness, and mitigating irritation. Pearl powder is a unique ingredient rarely found in other products. It also helps to stimulate collagen and restore tissue tone and elasticity. 6-hour Grass-fed Colostrum: Colostrum is a natural source of many vitamins, minerals, enzymes, and amino acids. It assists in the regeneration of skin cells. American Ginseng: This herb is known to eliminate blood impurities and facilitate skin cell oxygenation. Rhassoul Clay: Direct from the Atlas Mountains of Morocco, this clay provides an unmatched detoxifying effect for the facial skin while being gentle and non-drying. Recent studies have shown Rhassoul to be valuable in improving skin elasticity, unclogging pores, and removing harmful, excess surface oils. 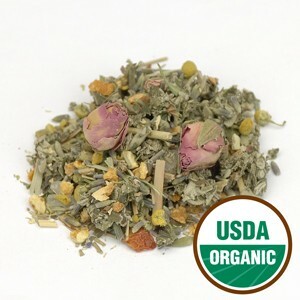 Illite – The green Illite is the mother of all medicinal clays. It has been known for many decades as French green clay long before we were able to differentiate the different structural types. In those days green was the only similar characteristic. This is without any doubt the most widely used medicinal clay worldwide. Internally and externally, the most stable and efficient clay used in natural health care. Kaolin Clay: Kaolin clay is commonly used in many different spa treatments to help purify, nourish, and heal different skin types. The use of kaolin clay originated from the Romans, Greeks, and Chinese. It contains many essential nutrients that are beneficial to the anti-aging process. Reduce the appearance of fine lines & wrinkles with two best-selling Juice Beauty treatments that help rejuvenate around the clock. 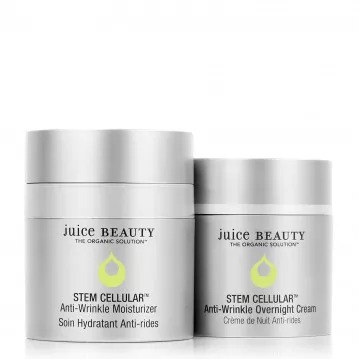 By day, the full-size STEM CELLULAR™ Anti-Wrinkle Moisturizer hydrates skin with antioxidant-rich organic jojoba oil and shea butter and provides essential fatty acid emollients with linseed and borage seed. By night, the full-size STEM CELLULAR™ Anti-Wrinkle Overnight Cream contains olive-derived squalane and nocturnal flower extracts of evening primrose and sacred lily to work all night to help reduce the appearance of deep lines and wrinkles while you sleep. Wake up to skin looking replenished, restored and renewed. 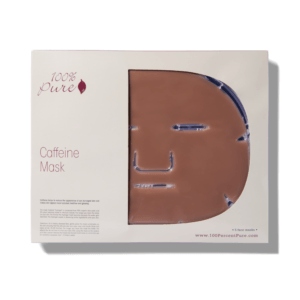 The key ingredient in this mask helps to effectively restore sun-damaged skin, caffeine is anti-inflammatory and helps reduce redness. The unique mask material “hydrogel” is composed of 95% organic aloe water and 5% plant cellulose and it is made to intensely hydrate your skin. The longer you leave the mask on your skin, the thinner the hydrogel mask becomes because the water is being absorbed deep into your skin’s cells. The hydrogel assists in delivering active ingredients to your skin while being cooling and hydrating. This is great for depuffing and toning your complexion plus it smells amazing! 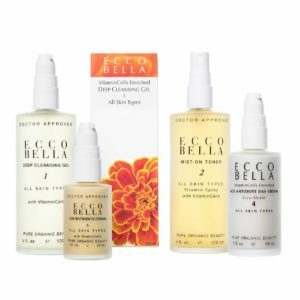 This lovely anti-aging set includes some of the best products Ecco Bella has to offer. The set includes – Natural Deep Cleansing Gel, Mist on Toner Vitamin Spray, Age Antidote Day Cream, and the Eye Nutrients Cream. 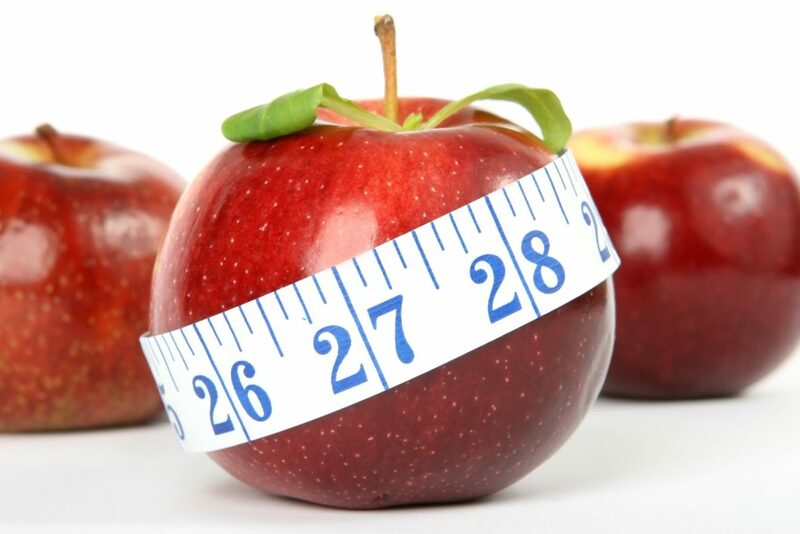 Each product is enriched with powerful VitaminCells. These anti-aging vitamins naturally protect and rejuvenate your skin from stress, sun, environmental induced aging, and blemishes. And all are 50 to 70% organic, vegan, water-free, gluten-free and naturally-preserved skin care products. This is an amazing line for anyone who suffers from acne and regular skin breakouts, enlarged pores, oily skin, etc. These products will help clear your skin without the use of harsh drying ingredients. Willow Bark helps cleanse and purify pores while Argan stem cells help repair and reduce inflammation. Non-GMO Project Verified, Gluten Free, Nature Derived, Sustainably Sourced, and always Cruelty-Free. I was never a huge fan of bar soaps until I tried these. They are the most luxurious, creamy, buttery, moisturizing bar soaps I have ever tried. Made with completely natural ingredients and available in a variety of scents such as Coconut, Lavender, Peach, Meyer Lemon, and Eucalyptus. Relaxing and reducing stress is very important in this day and age. With our often hectic lifestyles taking some much needed “me time” is more of a necessity than a luxury. Soaking in a hot bath infused with the Herbal Bath Blend from Starwest Botanicals that is filled with sea salt, organic orange peel, chamomile flowers, lavender, rosemary leaf, raspberry leaf, rosehips, peppermint and many other therapeutic ingredients really helps do the trick. 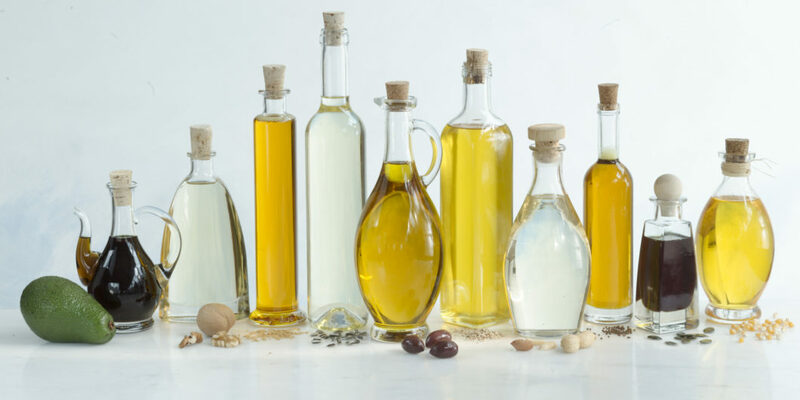 Made from natural oils that help beautify female breasts. Ingredients like Calendula, Marjoram, Rose, Neroli, Fennel Seed, and Cypress help to smooth and nourish, female breasts. With regular use, it works to tone and present definition to the breasts. I hope that one or more of the products mentioned above will become a holy grail in your skincare routine. What are some of your favorite products that you just can’t live without? Leave a comment below.